A report published 3 years ago by the Global Warming Policy Foundation showed that the best observational evidence indicates our climate is considerably less sensitive to greenhouse gases than climate models are estimating. The clues for this and the relevant scientific papers are all referred to in the Fifth Assessment report (AR5) of the Intergovernmental Panel on Climate Change (IPCC). However, this important conclusion was not drawn in the full IPCC report – it is only mentioned as a possibility – and is ignored in the IPCC’s Summary for Policymakers (SPM). For over thirty years climate scientists have presented a range for climate sensitivity (ECS) that has hardly changed. It was 1.5-4.5°C in 1979 and this range is still the same today in AR5. The new report suggests that the inclusion of recent evidence, reflected in AR5, justifies a lower observationally-based temperature range of 1.25–3.0°C, with a best estimate of 1.75°C, for a doubling of CO2. By contrast, the climate models used for projections in AR5 indicate a range of 2-4.5°C, with an average of 3.2°C. 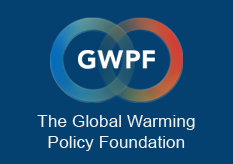 This is one of the key findings of the GWPF report Oversensitive: how the IPCC hid the good news on global warming, written by independent UK climate scientist Nic Lewis and Dutch science writer Marcel Crok. Lewis and Crok were both expert reviewers of the IPCC report, and Lewis was an author of two relevant papers cited in it. In recent years it has become possible to make good empirical estimates of climate sensitivity from observational data such as temperature and ocean heat records. These estimates, published in leading scientific journals, point to climate sensitivity per doubling of CO2 most likely being under 2°C for long-term warming, with a best estimate of only 1.3-1.4°C for warming over a seventy year period. “The observational evidence strongly suggest that climate models display too much sensitivity to carbon dioxide concentrations and in almost all cases exaggerate the likely path of global warming,” says Nic Lewis. These lower, observationally-based estimates for both long-term climate sensitivity and the seventy-year response suggest that considerably less global warming and sea level rise is to be expected in the 21st century than most climate model projections currently imply. “We estimate that on the IPCC’s second highest emissions scenario warming would still be around the international target of 2°C in 2081-2100,” Lewis says.